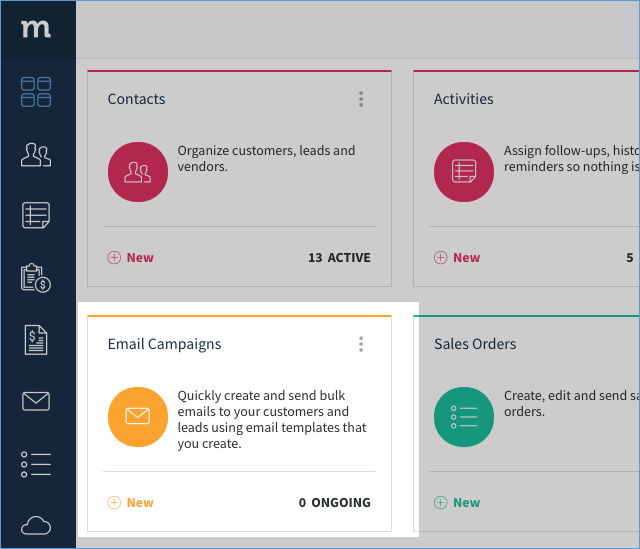 The Email Campaigns App, part of the Email Campaigns Pack, is designed to quickly create and send mass emails to filtered contact lists, right from your Method account. You can streamline communications with your existing customers, follow up with leads with ease, stay connected with your partners, and update all your contacts with important notices and exciting events. Build custom email lists to get the right information to the right people. Create and use templates specific to individual groups. Streamline communication to new and existing customers.